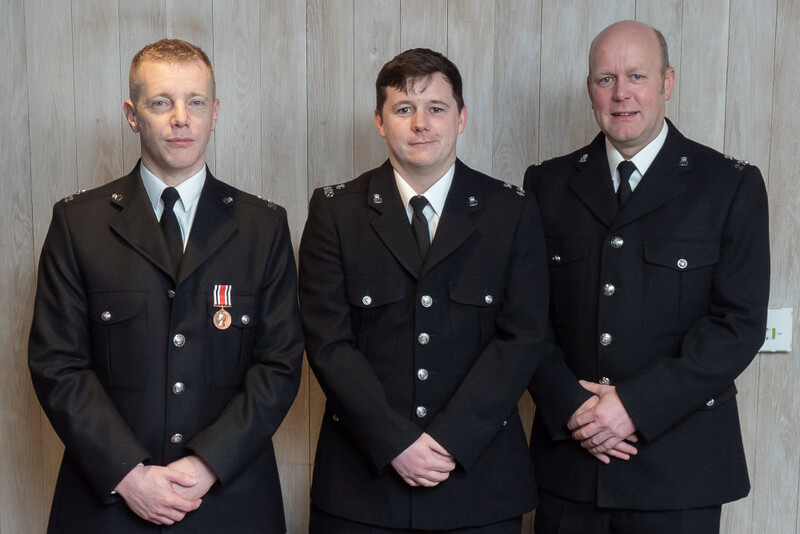 Two police officers whose courageous actions saved the life of a woman who was unconscious in the sea have been awarded for their fast thinking and bravery at the Brighton and Hove divisional awards. 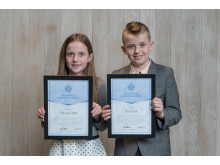 They were among officers, staff, volunteers and members of the public including two children who received awards and congratulations at the ceremony on Friday (8 February) for their courage, bravery, exceptional investigative skills and dedication to providing a public service in the city. 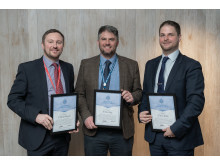 More than 60 awards were given out at the ceremony which took place at the British Airways i360 Tower in Brighton and were presented by divisional Chief Superintendent Lisa Bell in the presence of the High Sheriff of East Sussex Major General John Moore-Bick and Brighton and Hove City Mayor Dee Simson. 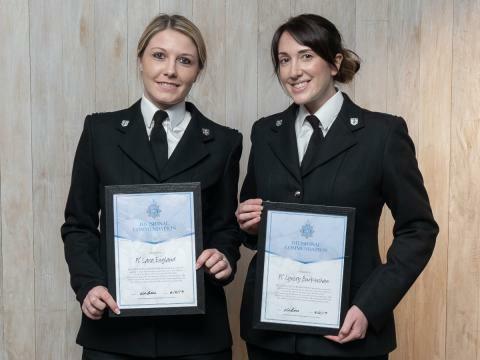 PC Lara England and PC Lyndsey Burkinshaw were commended for their actions when they were called to a report of a suicidal woman threatening to enter the sea. They found the woman in the water near the West Pier and she appeared to be unconscious and non responsive. The officers went into the water, pulled her and out and started first aid. Their actions without doubt saved the woman's life. 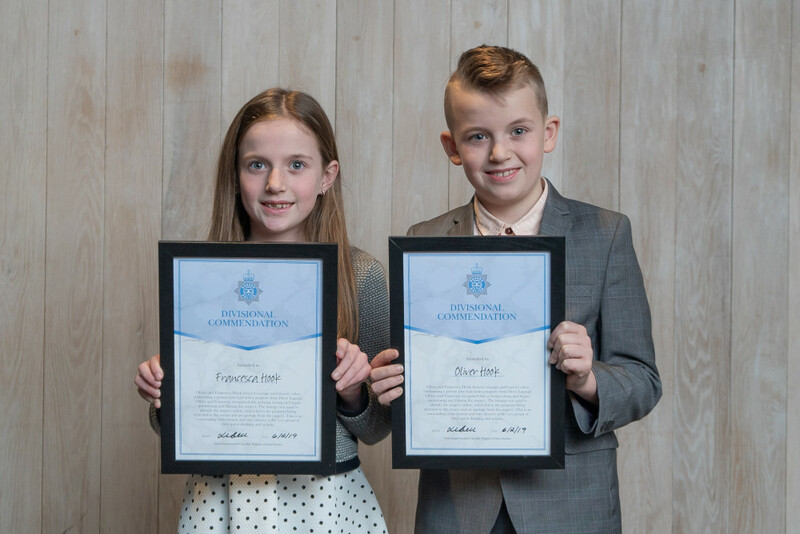 An award was presented to Oliver and Francesca Hook, aged 11 and nine, for their courage and bravery after they confronted a person who had stolen a plastic shark head from the the play area at Hove Lagoon. They recognised this as being wrong and began questioning and filming the suspect. The footage was used to identify the culprit online, which led to the shark's head being returned to the owner and an apology from the thief. Chief Supt Bell said their actions were an outstanding achievement and they should be proud of their quick thinking and actions. 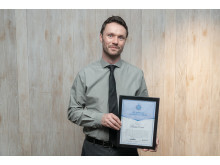 PC Phil McGrath (pictured) was commended for his courage after his colleague was attacked. 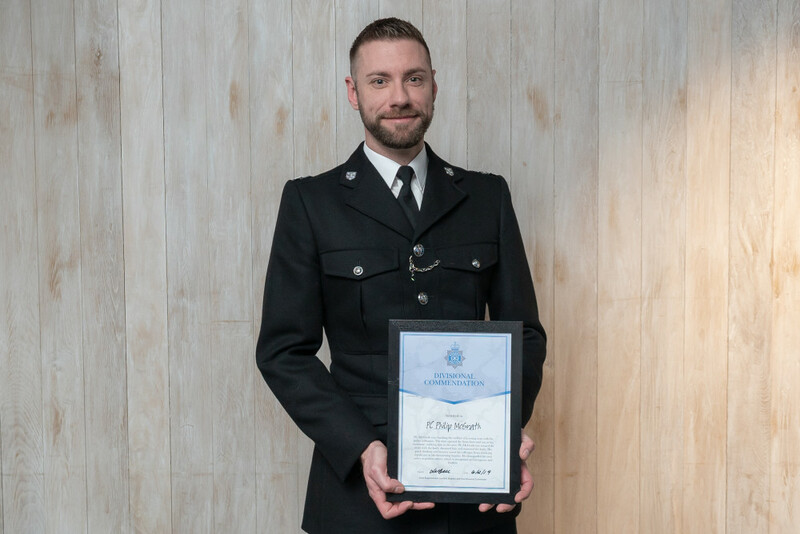 The pair were checking the welfare of a teenage boy at a house in Hove when he opened the door and stabbed PC McGrath's crewmate in the arm. The officer ran towards the boy with the knife, detained him and removed the weapon. 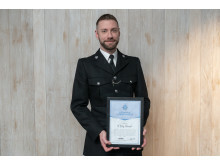 His quick thinking and bravery saved his colleague from receiving significant or life threatening injuries. He disregarded his own safety to protect another and his actions were recognised as brave and fearless. Park ranger William Furze was instrumental is finding a high risk vulnerable missing woman at Waterhall nature reserve in Brighton. He met police officers and directed them to where she was lying in undergrowth at the reserve. Without his assistance it would not have been possible for officers to find her. He helped them carry her to a waiting ambulance and his actions played a vital role in recovering the woman safely and reuniting her with her family. He received a divisional commendation for his actions. 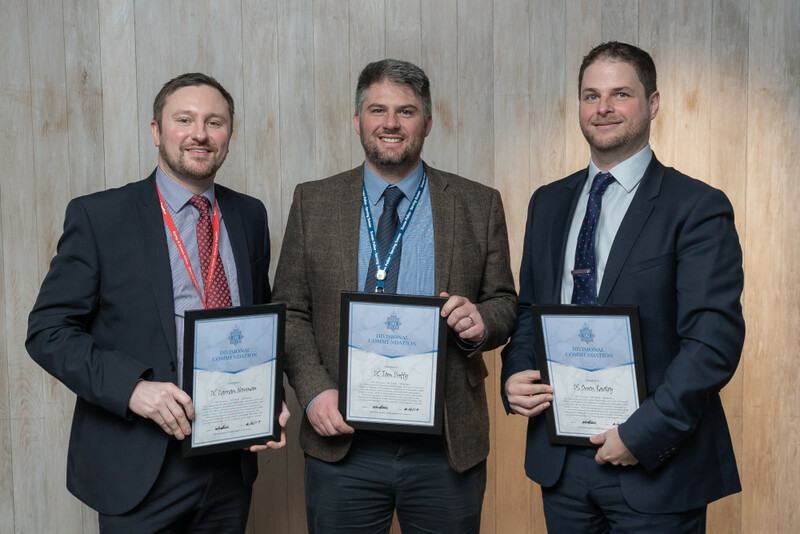 Detective Sergeant Owen Radley and Detective Constables Darran Newman and Tom Duffy (pictured) have been commended for their investigative work on Operation Highbridge, a serious of sexual offences on women and girls in the city. As well as building an evidentially sound case, the officers showed tenacity and persuasive argument to secure a charge against the suspect. Their determination to secure justice successfully removed a dangerous individual from the community and protected vulnerable women and girls from his predatory offending. Detective Superintendent Jeff Riley said the case demonstrated the very best example of investigative tenacity. In 2016 there was a significant decline in the number of volunteer Special Constables in Brighton and Hove. 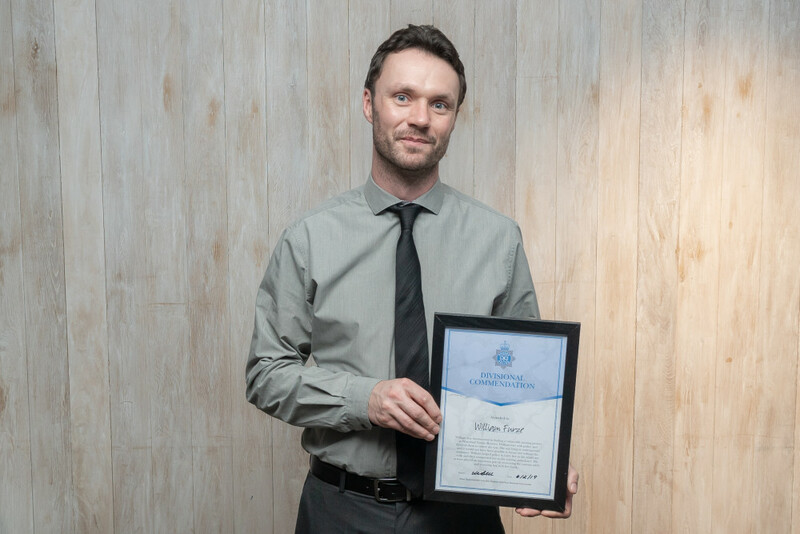 In response Special Constables Jason Glanville, Luke Piner and Alan Rankin-Thorn (pictured) created a divisional support team who on a Friday evening respond to crime and anti-social behaviour. As a direct result, the average number of hours worked has increased engagement and training of special constables in the city. 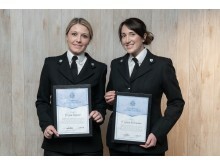 As volunteers, their commitment to working as part of the police family has been recognised as outstanding. Chief Supt Bell said: "I see the dedication, professionalism and courage with which Brighton and Hove officers and staff police the city on a daily basis. "This was a chance to see the breadth of policing and active citizenship across the city and recognise those who have gone above and beyond what is expected. 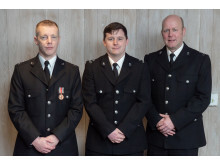 It is the tireless and selfless efforts of those who have been recognised that keeps our communities in Brighton and Hove safe and secures the trust and confidence of the public." IMAGE LICENSING NOTE: The images provided remain the property of Sussex Police or to a third party who has agreed to their release. They are provided for the explicit purpose of journalistic coverage and commentary, in the public interest, in relation to the featured event.